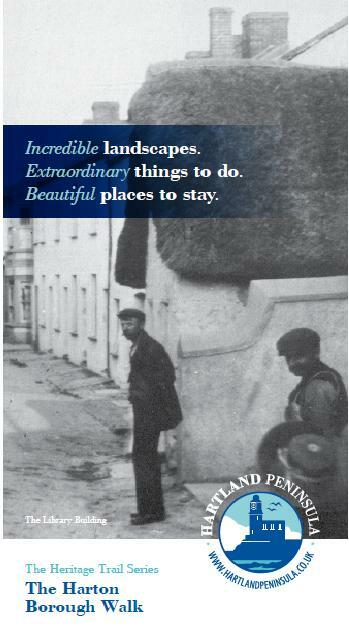 This is a series of four Heritage walks that uncover some of the fascinating history across the Hartland Peninsula. Each of the walks is a circular route ranging from 1 mile (The Harton Walk) to four miles (the Coastal Walk). You can download the walks in print format and/or as step by step instructions in audio mp3 format to play on your ipod or mobile. For each walk you can also access a detailed Google satellite picture map, with each waypoint marked and illustrated.